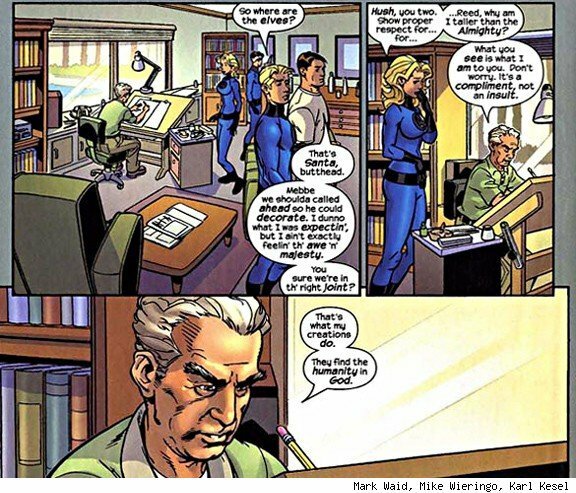 Jack "King" Kirby would have been 96 on August 28th and all over the internet comic creators are celebrating a man who was one of the architects of comics as we know them in the West. I confess my knowledge of Jack Kirby is not what it might be. I found his style to be striking, powerful but not always to my taste, though I have come to appreciate it more in later years. Though clearly the other way around. In his experimental phase you never knew quite what to expect, and if he felt a collage would work better as a backdrop, by God he'd make a collage and it would be AWESOME! And speaking of lovely a scans_daily favourite! 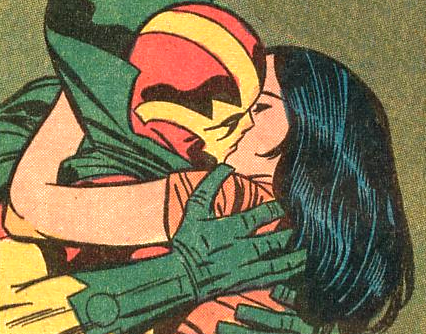 Big Barda and Scott Free... aka Mr Miracle... a loving, passionate couple who were completely besotted with each other, and neither gave a damn who knew it. I could post many, many more images from numerous title,s heck, numeropus genres, each a classic and each unmistakably Kirby, but I'll leave it relatively short and sweet, and if anyone care to add a favourite image in the comments, more power to you! 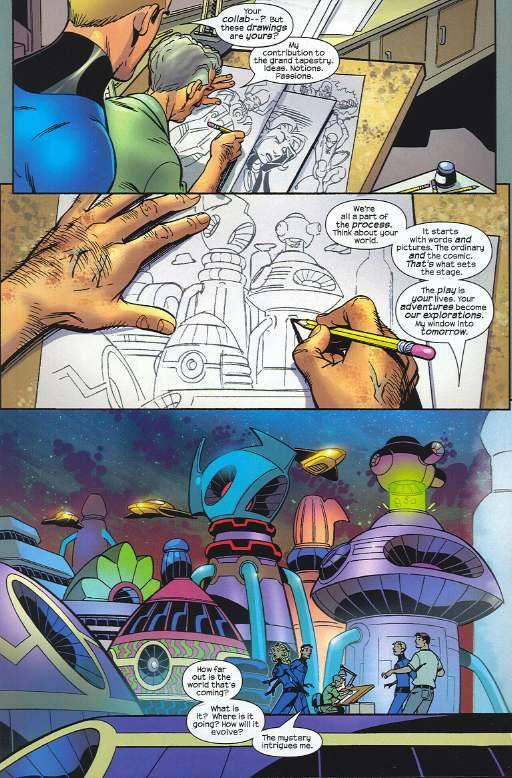 Kirby was one hell of an artist with lots of great ideas. Unfortunately, he was not very good at writing. For me, some of his best work was on Journey Into Mystery/The Mighty Thor. There was a particular stretch there where it seemed the ideas were coming faster than they could get them on paper, and even though some of the stories ended in a manner that was disappointing, the artwork was truly epic and wonderful. 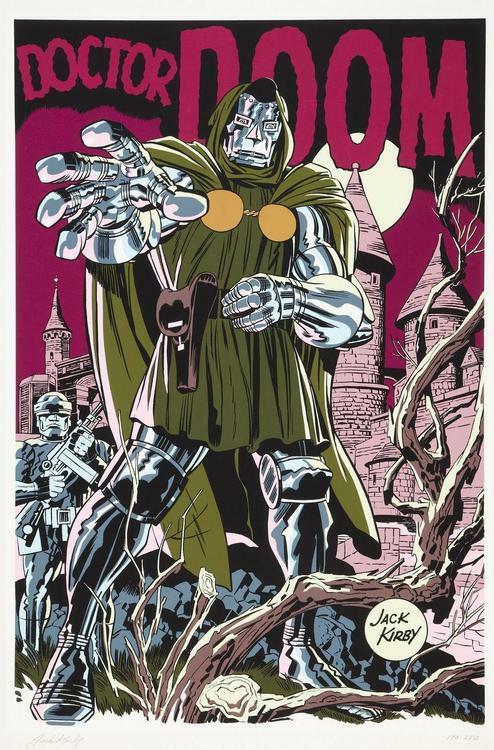 He had a dynamic that many of today's artists wish they could copy, and a sense of design that was sometimes goofy but remains timeless (seen Galactus lately?). He had some quality creations, but I always felt that he was at his best when he worked with a writer. There were some things he didn't do well. He was great with big, strapping, larger than life heroes, but he couldn't draw Spider-Man at all well (at least not in the instances that I've seen him draw the character), and I imagine that had he attempted to draw the Flash, something similar would have happened. In my opinion, one of the three top artists ever in comics. As a kid (a stupid kid I might add) I didn't GET Kirby. I liked artists (who will remain nameless) who drew what I termed "prettier". A few years ago, somebody flipped a switch and I saw it, I got Kirby and his energy, the kinetic action, the huge imagination. Most of those "pretty" artists I liked back then, I can't stand now. 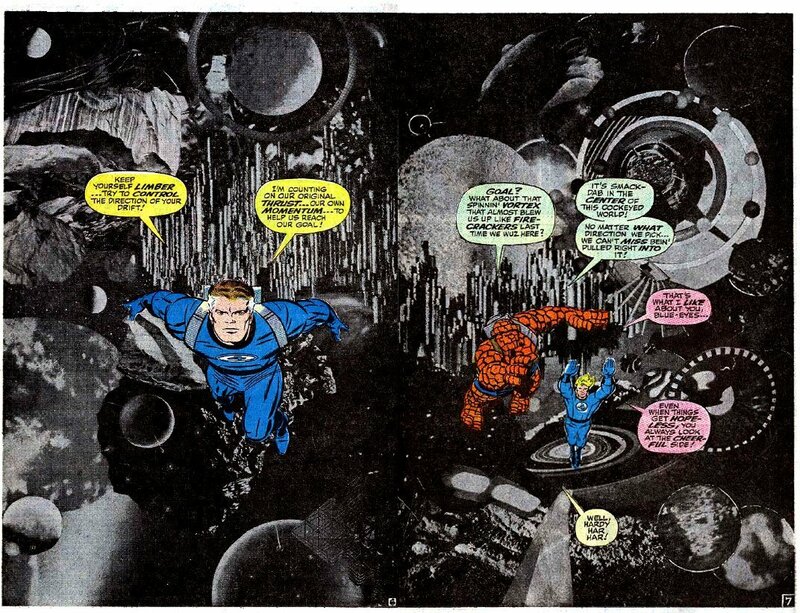 Their work seems so dull, so posed, so lifeless by comparison to what Kirby was doing. 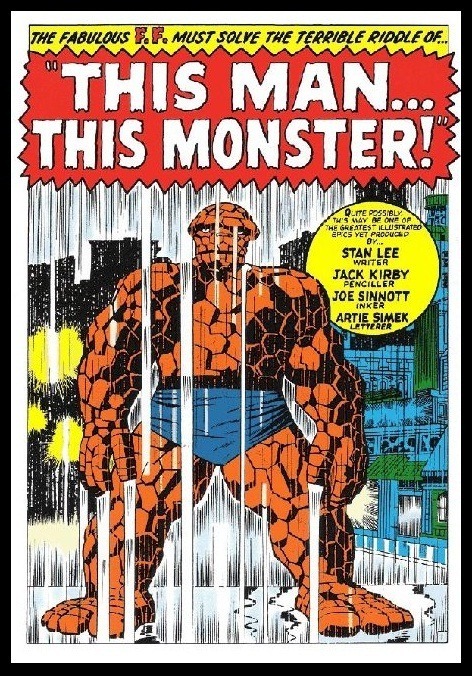 Am I wrong, or is "This Man...This Monster" the quintessential Stan Lee title, right down to the ellipsis? I'd say it was, right up there with "When Titans Clash!" First time I remember hearing about Jack Kirby's significance was when I asked my local Comic Book store what he would have Stan Lee sign. He said "I would just have him write a little quote"
"Oh? What would it say?" "I owe it all to Jack." Looking at Jack's history, I now understand why. I've yet to check out or own much of his work (I've only just gotten into comics full-on, after all), but I love and respect the man and his legacy immensely, and his art style holds a timeless delight. Jack Kirby as Santa claus would be awesome. 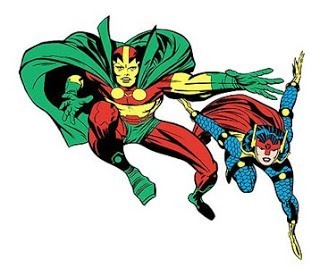 Jack Kirby's art makes me hug myself with happiness. Sometimes I feel as though we're currently living in an age that wants to apologise for having an imagination, for daring to set their heroes and wonder too far away from the Place Our Taxes Are. Jack Kirby clearly had no such limitation. I am not a fan of Kirby's art. It doesn't click with me, and while I can appreciate how important it is, and I can see why people love it so (and it is insanely dynamic), I just feel a little sad inside when I see everyone rave and can't help but think "why?" Not a huge fan either. Square fingers, square jaws, etc. But over the past few years, as I've looked at more of his stuff, I've developed a respect for him. It's not as well shown on the web, but his romance and western works actually outshine the FF. 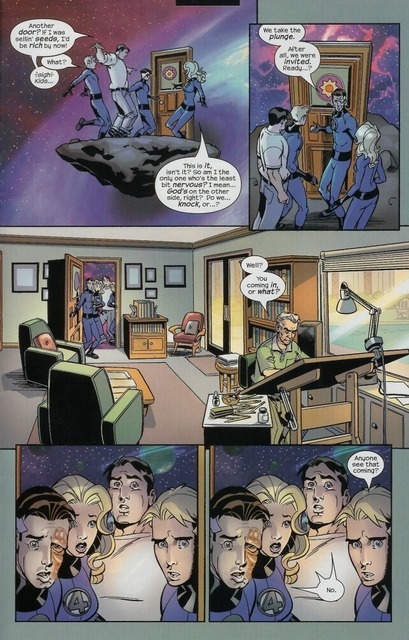 Add his awesome giant monster comics from Atlas, and those alone would make him a legend.